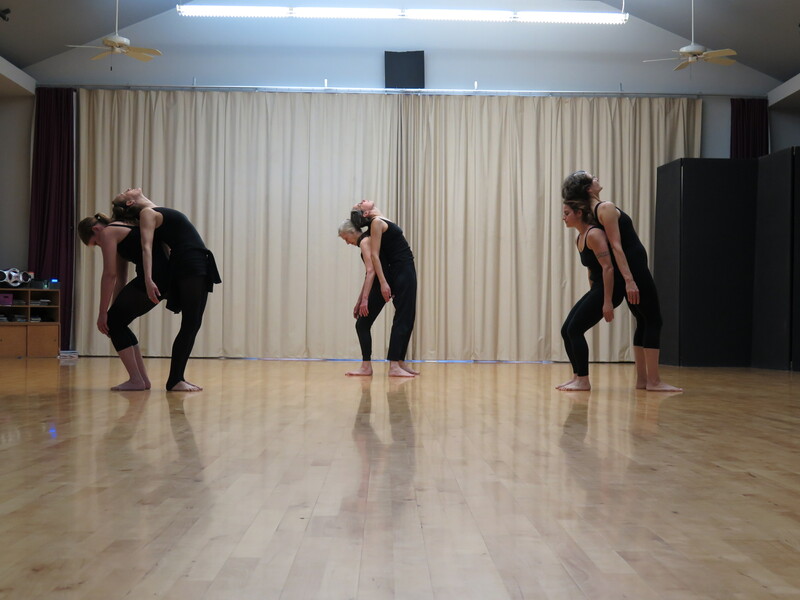 “Dancer’s Answers” is an occasional series on the PTDT blog. 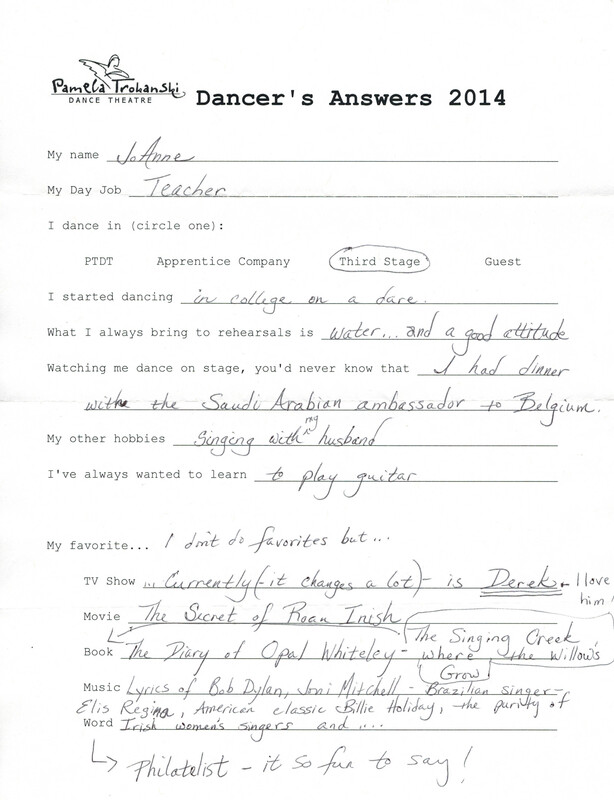 We asked PTDT & Third Stage dancers a series of questions so you can get to know them better. 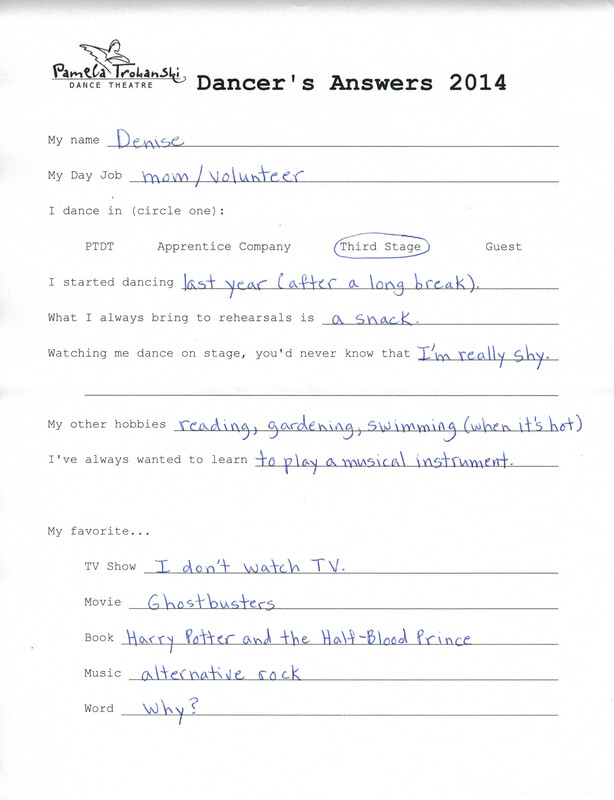 This week, JoAnne and Denise share their answers.